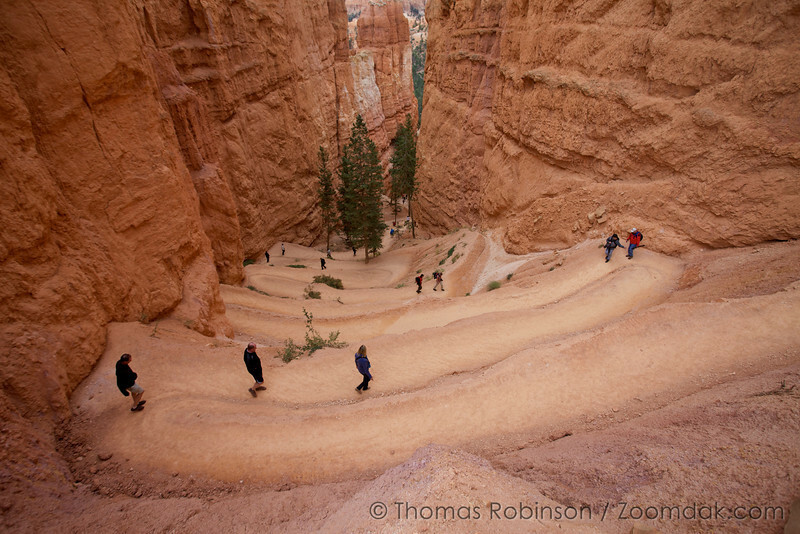 Hikers work their way down Navajo Loop trail which switchbacks through Wall Street in Bryce Canyon National Park. Very nice to see that again. I have walked there too. A wonderful place!